This topic contains 10 replies, has 2 voices, and was last updated by Philjb 3 weeks, 3 days ago. hi all need some advice/info. Just to give you the basics. this is the first mobility car my mum has ordered. she lives on her own and can’t drive. so either me or my wife everyday pick her up from her house and drop her off at my house (4miles away) and also drop her back off at home. This is usually at 7/8am and back home 4/6pm. this is so she is not alone during the day and can spend time with her grandchildren. apart from this we also take her shopping, out on family trips or to other friends/family/doctors appointments. Even if this is during the day when I am at work, I take time off/bank time/use breaks to do this. with the fact she is less and less mobile and sometimes requires a wheelchair especially on long family trips and finds it difficulty getting in and out of the family cars we have. We decide a motabilty car which is high enough that she doesn’t need to ‘step down into it’ and one which could fit her wheelchair and also our own family stuff I.e child seat/pram etc would be practical. my concern is that due to my mum not living at the same address and is currently using our own cars both for her and our own needs if we did the same with the motbility car it would be breaking rules. The problem would be then for us to ‘only’ use the motbility car for her needs and practically/logically as we do currently it would mean extra trips/time. I.e any trip/journey where I am going work in between helping my Mum. any help/advice on this is really appreciated and thank you beforehand :). This is a difficult one as the rules do state for the customers use, the fact you live so close is not a issue (a tracker may be fitted if further) and country to believe if your mother rellies on you and benefits then in some cases you can use the vehicle to and from to a place of work, it’s about way of life and making things easier for the Motability customer, others may have different views but your mum will be benefitting and if you didn’t have transport her quality and enjoyment of life would be reduced, don’t over think things the Motability customer doesn’t have to be present every trip but overall benefit from the use of the vehicle. Zaf, it might be worth working out what percentage of the mileage you would do is for your Mum’s benefit and what percentage is for your and your family’s use? Not scientific or what Motability would use but may help clarify whether this is the right and proper use of a Motability vehicle. Hi Zaf, this may help, taken from Motobility website. ‘The car is used by, or for the benefit of, the disabled person. This does not mean that the disabled person needs to be in the car for every journey. In practice, this means other named drivers in the household can use the car for shopping and other routine activities, as long as the disabled customer will benefit’. and Mr P 100% not looking to do any of the misuse stuff lol. Feel a lot better, knew I wasn’t going to abusing the system but I didn’t want the perseptition to look like that either. Hi Zaf, good luck with whatever Car your Mum chooses, sounds like an SUV would be suitable. 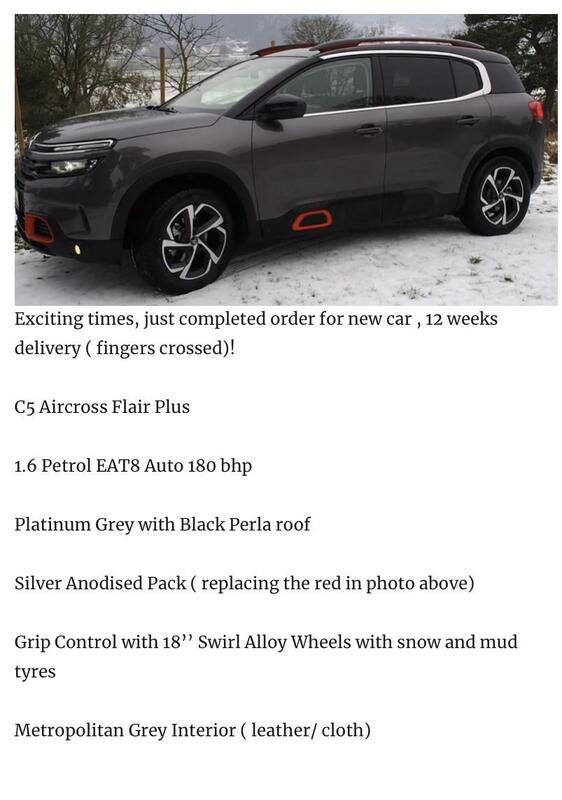 We have a folded w/ chair, so have just ordered a Citroën™ C5 Aircross, which accommodates it fine. Well had a call from Motability today and they have stated. I have been told a location tracker will be needed. I don’t mind this but they have told me I can’t use the car for the following journeys which I find counter productive. droping my mum off @ x then going to to work and then picking my mum up from x.
i have to go back home and pick my private car up even though that makes no sense and means when/if my mum needs a lift while I am at work I can’t do this. also if I drop my mum off at home and on the way to park the car at my house where it’s registered I can’t go gym even though it’s on the way. I have go home and then pick my private car even though this means it will make it less efficient journey for me. this literally makes no sense as my mum will not have more benefit if I can’t use the car on only onwards journeys but actually less. Hi Zaf, is there a possibility of putting another named driver on , you are allowed 2 named drivers ( must live within 5 miles of your Mum). both drivers will will be under 5miles. they stated its journeys which are between dropping my mum off and going to work I can’t do as my mum doesn’t get benefit from that. So essentially I will need drive home and swap cars which will mean an extra hour plus for me every day. And they will add tracker to enforce that I don’t use to go to work even if before/during/after I am doing journeys for my mum :(! I think you’d In all truth being devils advocate, have been better off saying nothing and just having your self as a named driver now you’ve informed them the car will only be used in a minimal way to benefit your mum and mainly for yourself to go to work. The only way now I can see that changing is if you working contributed to her household income in some way? But as you don’t live with her I’m not sure how this could work? As the the car must be used for her benefit.